U.S. Olympian Adrienne Lyle will headline the new Royal Dressage Derby on Tuesday evening, November 6, at the Royal Horse Show, held as part of the 96th Annual Royal Agricultural Winter Fair. This year’s Royal Agricultural Winter Fair runs from November 2-11 at Exhibition Place in downtown Toronto, ON. 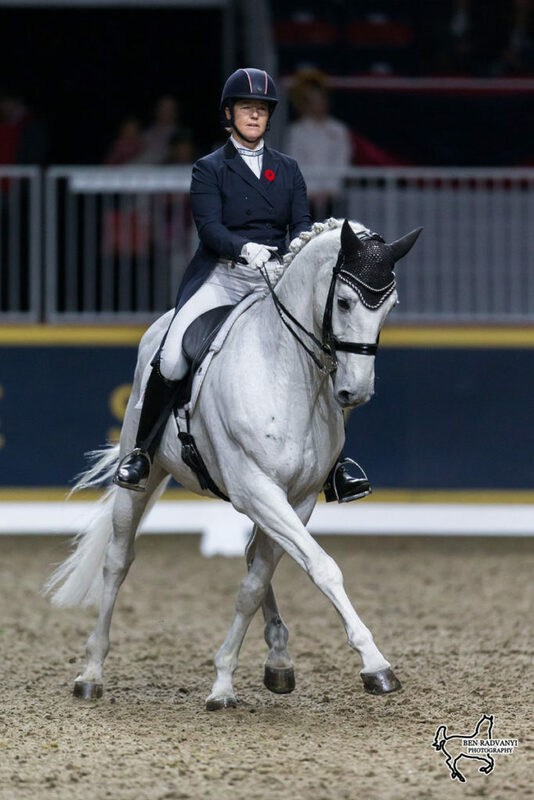 Prior to the Dressage Derby, Canadian Dressage Team veteran, Jacqueline Brooks, will retire her long-time partner, D Niro, in a fitting celebration at the Royal Horse Show. Brooks and the 19-year-old grey Swedish Warmblood gelding affectionately known as ‘Goose’ have represented Canada in international competition around the globe, including at the 2012 London Olympic Games and the 2013 World Cup Final in Gothenburg, Sweden. Doubling down on Derby fun, the evening’s Royal Horse Show performance opens with the impressive Knightwood Hunter Derby followed by the Royal Dressage Derby, a new concept that will see four riders go head-to-head riding borrowed horses in a ‘knock-out’ format. Riders will have only minutes to get to know their mounts before entering the Coca-Cola Coliseum to perform their test. The winner of each ‘knock-out round’ will move forward to a second round in the hopes of being crowned the Royal Dressage Derby Champion.